Friday, September 21, 2012 ratings — Shark Tank was down in the ratings when compared to last week’s strong showing, as was Primetime: What Would You Do? and 20/20. America’s Next Top Model was also down while NBC’s Dateline was up slightly. On ABC, Shark Tank once again ruled the night in both the demo and viewers. The second episode of the season drew a 1.6 rating in the 18-49 demographic with 5.88 million total viewers. It was down by 11% in the demo when compared to last week’s episode. That was followed by an original episode of Primetime with a 1.5 in the demo and 4.65 million, down by 12% in the demographic. At 10pm, ABC ended the night with an original 20/20 installment. Down for the second airing in a row, the news program dropped 13% with a 1.4 rating and 4.94 million viewers. On CBS, there were three hours of reruns — which outperformed some of the other networks’ originals. 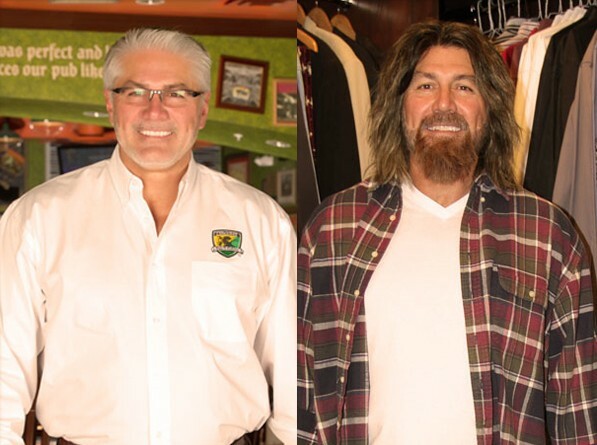 Undercover Boss started the evening with a 1.1 demo rating and 4.75 million viewers. That was followed by CSI: NY (1.0 demo with 5.84 million) and Blue Bloods (0.7 rating with 5.56 million). On NBC, we had the ALMA Awards at 8pm. It registered a weak 0.6 demo rating and 2.45 million viewers. That was down compared to last year’s airing. That was followed by a rerun of Grimm at 9pm. It drew a 0.6 demo rating with 2.15 million viewers. (New episodes return in this timeslot on September 28th.) And finally, Dateline capped the night with a 1.0 demo rating and 4.31 million viewers, up slightly from last week’s installment. On FOX, we had a pair of repeats, mirroring the network’s current Monday night line-up — Bones (0.8 demo with 3.17 million) and The Mob Doctor (0.8 rating and 3.02 million). And finally, on The CW, America’s Next Top Model started the night with a 0.5 demo rating and 1.32 million viewers. That was down by 17% week-to-week. At 9pm, a Nikita rerun drew a 0.2 rating and 0.6 million. What do you think? Will Shark Tank take a serious hit when NBC and CBS start airing their regular Friday shows? Is NBC killing Grimm by moving it and then airing reruns? Do you watch any of these news shows? What were you watching last night?